Microsoft has continued to make changes over the past few years in the way in which they deliver office to consumers. Since the introduction of Office 365 which offers the current versions to consumers in a subscription based model, there has been a push for Microsoft to make Office more mobile in the tablet age. This past fall Microsoft rolled out the complete Office experience to iOS and these new apps match the modern look and feel of Office 2013. Furthermore, these apps now let you view and edit office documents for free. In order to use more advanced features for Word, Excel, and PowerPoint, users can either make an in app purchase or redeem a license that comes in a multiple device subscription, now offered by Office 365. For those unfamiliar, Office 365 is a yearly subscription to Office, but it includes cloud based storage and provides users with the most updated version. When used on multiple devices, this model can be a more economical option. Microsoft Office is further expanding the availability of Office beyond iPhone, iPad and PC platforms, as they will be rolling out new android versions in the coming months. However, Microsoft’s Office Everywhere for Everyone campaign would not be complete if it did not bring the modern office experience to Mac. It has been more than four years since Office for Mac 2011 launched in 2010 making Office for Mac 2015 long overdue. The new screenshots released by Microsoft confirm that Office for Mac will match the Windows experience and aesthetics. This will no longer be a less powerful version. Additional improvements include support for SkyDrive and Retina Displays, in addition to One Note for Mac, which is available for free right now on the Mac App Store. Office for Mac 2015 is expected to launch in the later half of 2015, with a beta coming sometime in the spring. To summarize, Microsoft is making big changes in the ways that Office is brought to consumers. They brought new apps for iPhone users in addition to updating their iPad apps. They are previewing and testing new android apps and are working to update the Office for Mac experience. However, the biggest change is there is now limited free access to such a critical tool for everyone, even if they don’t have a subscription. If you have thoughts on the new Office experience or Office 365, you can share them by commenting below. It will be interesting to see how these apps shape up in the coming year. Treatment Plant. Here is an example of it via Youtube. Feel free to check it out and spread the word! Let’s make this go viral. Next she discussed what other things she has used. An app that she has used is SmartOffice 2. 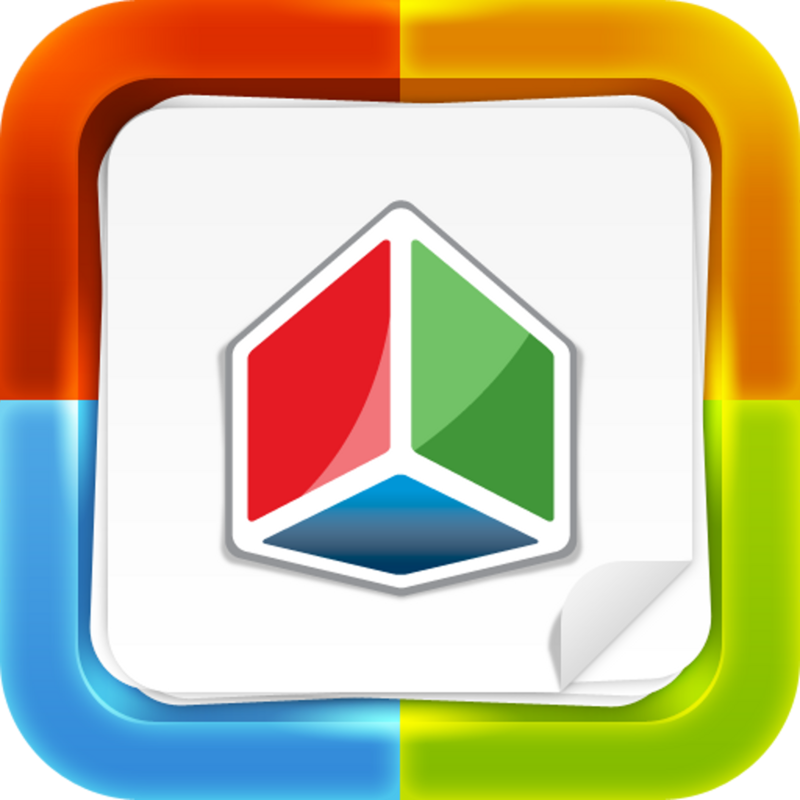 SmartOffice 2 is the equivalent to Microsoft Office Suite. Claudia discussed that she was able to type documents, take notes and easily save it to her DropBox account or just send it as an email. She said that it was extremely functional and something she has used on a daily basis since using the iPad. For more information about this app, head over to the App Store for SmartOffice 2 . In the end Claudia has felt that the iPad has really helped her throughout the semester and she has really gotten used to it. Of course there are some minor things that still bug her, but overall her experience with the iPad has gotten better and now she has fully gotten the iPad experience. Has this convinced you to get an iPad?? If not read all about the presentation of the SurfaceRT below. Next we discussed the SurfaceRT. First we discussed Microsoft OneNote. OneNote is an application that comes installed on Surface RT, Surface Pros and all PC (Laptops and Desktops). OneNote is a great application that acts as your binder with many different dividers. OneNote allows you to keep many “Notebooks” that allow you to keep notes. The great thing about this application is the functionality. 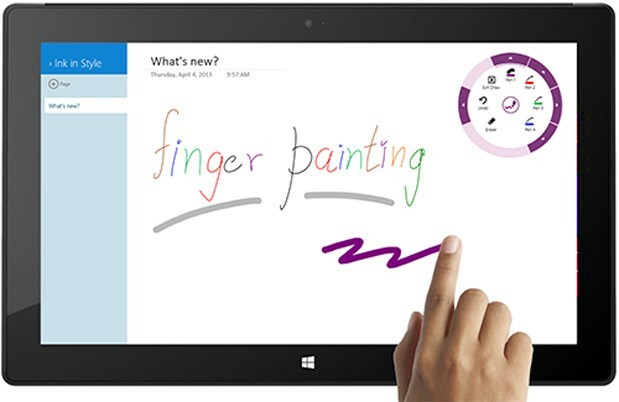 It allows users to use their hands as their note taker. You can use your hand to highlight, cross, or just write like you would on a paper. Also this allows you to type like a regular keyboard. Finally we discussed the SurfaceRT itself. The SurfaceRT has great features, including acting like a regular PC and having the full Microsoft Office Suite installed. But the main downsides are the lack of apps (but they are coming) and also you are unable to install your own programs outside of the Windows App Store. The SurfaceRT currently runs for $350. For more information about the SurfaceRT and other great features head over to Microsoft’s SurfaceRT site. We hope that we see you for our next meeting on Wednesday, April 9 2014 between 12:15-1:15. Remember the meetings are located in E319 on the NYC Campus and Miller 16 on the PLV Campus. In the meeting on Tuesday, September 17, we discussed a student engagement system called Top Hat. Students are constantly glued to their devices making it hard for professors to gain their student’s attention. With this application, professors no longer have to worry because Top Hat will allow students to stay on track and provide them with a positive learning experience. It is not limited to one device, so students can bring any device they wish to class (laptop, tablet, etc). Top Hat has many exciting features that allows students to be more interactive in a classroom setting. Professors can present information through demos, and then quiz their students on the material with over 7 types of questions. When the students answer the questions, their grades are automatically generated in the professor’s grade book in Blackboard. Anonymous discussion boards can be applied so that students are not embarrassed to participate, and professors can see what topic the majority of the class does not understand. Furthermore, we are looking for users to test out this application so if interested please contact: Beth Gordon at bgordon@pace.edu or Martina Blackwood at mblackwood@pace.edu for more information. As always feel free to leave comments, make suggestions, or inquire about presenting at a future meeting. The next meeting is on Tuesday, October 22, 2013 from 3:30-4:30 pm in E319 on the NYC Campus and Miller 16 on the PLV Campus. Today we had three presentations during our second to last iPad meeting of the semester. The first two were from Pace professors and the last was by a Pace student. The two perspectives really helped tie some things together. Lets review the two Professor presentations. Our student presenter will be giving us a special guest writing piece later this week to share! The first presentation was by Professor Matthew Bolton of the Political Science department on the NYC campus. He discussed three distinct ways that he utilizes the iPad: For Model UN, in his online class, and in a research role. As far as Model UN is concerned, the iPad really is an all inclusive device that allows for the Model UN group to have information at their fingertips at anytime to share on their website. The website is a Word Press blog which has a great application on the iPad which allows for direct updates. Word Press itself is a great tool that Pace does offer and this presentation brought that to the forefront for those who weren’t aware of it. It’s a great tool that’s easy to use via your iPad. As far as online courses and research go, Professor Bolton also touched on these two items. He discussed the Blackboard app which is great for needing to access things in a pinch, but reiterated that it is not a direct replacement for Blackboard itself which is accessible via a Mac or PC. It works for the little things, but there is definitely room for some improvement as with anything. As far as research is concerned, he discussed actual conferences that he goes to and how the iPad works so well for that. It not only eliminates the need to have numerous clunky devices on the go, but lets you jot down those hard to remember thoughts at that inconvenient time because you always have the iPad ready and waiting whether you are at a conference, riding the subway, etc. The second presentation was by Professor Emily Welty of the Political Science department on the NYC campus. She discussed a few apps that were related to data recording as well as presentations. First, she discussed data recording and introduced us to two really interesting apps: Super Note and Quick Voice. Both essentially allow for the recording of audio either for interviews, during class, you name it. You can make notes, and then listen to the playbacks later on. And the best part is it actually seems like interviewees or professors are “less” nervous when being recorded this way versus a traditional tape recorder and tape. These apps are both great tools for students and faculty alike. The second app that Professor Welty discussed was Haiku Deck. It’s a free app and is an extremely interesting and unique way to present topics in class. She mentioned that she was trying to move away from the traditional PowerPoint all the time and this is a really fun and unique alternative or supplemental tool. Essentially Haiku Deck makes presentations “simple, beautiful, and fun” according to their website. The basic idea is to get rid of the standard presentations and get creative while also keeping it simple. You take an idea, search for a picture (or use your own), choose a layout, and just like that, Haiku Deck has taken your presentation to a whole other level. It is so unique and opens the doors for students to really become actively engaged in the topic and conversation as opposed to always staring at a wordy slideshow. It’s quite the app and will take a little bit of getting used to, but is definitely worth trying out in your classroom or even at a meeting for brainstorming! Our third presenter was a student, Heather, from Dr. Jane Collins (ENG PLV) iPad course. She will be submitting a write up to share later this week sharing a student perspective on how vital the iPad has been in her time here at Pace, so be on the look out for it. Our next, and last, meeting this semester is on Wednesday May 1st, 2013 @ 11:15am in Miller 16 and E319. See you then! Students, have you ever found yourself in class about the fall asleep or are your hands just too cramped to copy the notes your professors put up. Teachers have you found yourself a bit lost at times in class and you want to practice your lecture before class starts? Well there is an app where you can actually record yourself speak and it is called iTalk! iTalk is an app that allows you to record yourself or others (obviously you would need willing participants) and the recording remains on your iPad. As you can tell from the picture on the left the app not only times how long you are recording but it tells you the sound quality, and the size of the file! This is some useful information because you want to make sure the quality of what you are recording is good and you need to make sure that you don’t make a file that is too large, thereby taking up precious iPad space! On a personal note I have used this app recently to record one of my professors lectures. I wanted to make sure I had everything ready for finals and I am really glad that I recorded the lecture so I didn’t miss a thing! For more information you can download the iTalk app in the app store all for free! Today we had a presentation about a very cool and innovative app that could change the way teaching is executed in the modern day classroom. The app is called Air Display and it is made by a company called Avatron. Air Display is used in many instances simply as a second monitor for those that have a laptop or lack a second monitor and need that capability. So it will extend your desktop and comes in handy when i.e. comparing documents side by side. In investigating further, we have discovered it also has a mirror mode which, when connected to a PC or MAC computer (and after a simple software install), will mirror exactly what is on the computer screen on your iPad. That’s not where it ends. You also are able to control the computer directly from the iPad with the touch of your finger, with practically no limitations. The response is in real time, with no delay, and you can navigate through your PowerPoint, browse to a website, or just search for a folder just as if you were standing in front of the classroom podium utilizing the computer with a traditional mouse and keyboard. But that’s just it; you are no longer tethered to the podium. You can move around the classroom freely and have more interaction with the students now. You can keep an even closer eye on their actions and ensure they are on point and ready to learn and interact. Furthermore, the iPad becomes a mobile annotation tablet with the use of this app. With the use of Panaboard software (installed on all Educational Media computers in classrooms) you can annotate directly on the iPad. Whether it is a website, a video, or a PowerPoint slide, you can annotate and save the annotations made for reference at a later time. Within PowerPoint, all the annotations will save as you go slide to slide (with a prompt after the last slide to save all annotations). Within other applications, i.e. a web browser, you will want to utilize the built in Panaboard recorder or Echo 360 to record your actions as you go from page to page or between different applications bc there is some erasing you will have to do with your annotations, very similar to what you would do on an actual Panaboard. So in closing, this app is really useful and unique in the sense that it not only allows you to become untethered from the classroom podium, but it also allows you to annotate via your iPad and also record and save these annotations for reference at a later time. Every room with a computer and projector now becomes a Panabord ready room with the use of this application. We highly recommend some further training to gain a better idea of what this app can do for your classroom. For a demo, initial/further training or general information please contact Rich Miller (rmiller@pace.edu) or George Chacko (gchacko@pace.edu). We are currently looking for willing participants to “pilot” this app. This is an exciting app and anyone interested in participating is welcome provided they are willing to test it out in their classroom and report back to the group with their constructive feedback at a later date/future meeting. Our next iPad meeting is on March 20th, 2013 @ 12:20pm in the PLV and NYC Videoconference Rooms. Hello, iPad users and welcome to the last post of the Fall 2012 semester! Boy did this semester fly by or what?! In our last meeting we had representatives from Doceri, a great app for the classroom, come stop by and talk about it. By the end of the meeting we asked ourselves, Where do we go from here? And I think you will like the answer! First representatives from Doceri came by to talk about this great app that professors can use for their classroom. Doceri is an iPad app that includes an interactive whiteboard and a great screencast recorder. First you can create a free account with Doceri online or on the iPad. Once you get started that is where the fun begins. You will be able to create any sort of lesson plans for any subject whether it be Math, History or just plain old English. Once you have settled in, you can then bring your created lesson plans to class and be able to show your students. Not only will students feel more like they are included, but they will enjoy hearing lesson plans and watching it visually happening on the screen. Another great feature about Doceri, is that it actually allows you to connect to a computer to be able to project your iPad! If you are tired of just having your back towards your students while writing on a whiteboard, Doceri can change that! Included is the option to have a computer connect to your iPad and that is where you can have an interactive Whiteboard come to life. You can have the projector, showing your students what you are writing in real time. So if you are explaining a math problem you can write your explanation on your iPad and it will show the students at the same time. There is no more need to have your back towards your students ever again! For more information about this free app, head over to Doceri’s website! Once you have tired it let us know what you think about this app! You can also search for some great demo videos on YouTube and follow them on Twitter. Finally, we discussed one last question which was “Where do we go from here?” Some of the responses from people at the meeting said they wanted us to talk about other technology outside of the iPad. Maybe we can discuss some tricks and tips for Android tablets or maybe we can discuss anything about the new Microsoft Surface. If you would like that let us know! We want to gauge interest in new technology to expand even further! After another successful semester, we hope to see you again next semester! Dates and times of our meetings in the Spring will be posted. Keep checking back for updates! From everyone here, we wish you a wonderful winter break! See you back in the Spring! During this meeting we discussed a new, great App called Lecture Tools. Searching for this great new App? This is what it looks like! Lecture Tools is a student response system that allows students to take notes linked with the slides and videos presented in class, answer instructor generated questions, and anonymously ask questions to the instructor. Often students do not want to ask a question in front of their peers or even to their professor because they fear the embarrassment of asking questions, but with this application, as a student, the process of question asking can be worry free! Additionally, sometimes certain topics can become confusing to a student or a majority of students, but again students are embarrassed to express their frustration understanding a topic during class and will quietly go to the instructor after class. This application also allows students to flag slides right away so the instructor can see if just one student is having difficulty or a majority of students, and then can spend more time with the whole class on the topic or one on one with the one student who didn’t understand the material. After class this content can be accessed for review. First, instructors can use the web application to upload slides and videos (such a Youtube) and add many different types of interactive questions . This will make it easier to prepare the material that is going to be discussed in class. Once uploaded students can then use the iPad app ( or web app) to participate in class. Instructors can hide slides until they want to reveal them to the class, and then click publish so students can then see the slide that was once hidden. Nonetheless, students cannot skip ahead to view future slides. At the end of the lesson, the instructor will have a report card to see how much a student participated and interacted. The content will always be accessible to the students as long as the instructor wishes to keep it available. The Lecture Tools application has been independently shown to increase engagement, especially in large classes. This image shows a slide with content on the material being discussed in class. Shows visual content within the slide. Any kind of media can be used with the slides. This slide shows a question being asked by the instructor in which the students can reply to the answer they think is correct. Another visual content slide that shows the areas in North America that contain that type of rock. Another interactive question in which this time one would have to tap the iPad to click on the part of the volcano they think is the crater. Additionally, one of the neatest features of Lecture Tools is that you don’t need an iPad or even a laptop to respond to questions the teacher presents within the app. As long as you link your account with your phone number, you can text the answer directly from your mobile phone. There you have a brief overview of Lecture Tools! Hopefully we will be seeing it used at Pace in the near future! Hello iPad users! We had our 2nd meeting this semester and we talked about some great Apps. If you own an iPad you know you can’t survive without good apps so sit back and enjoy as we talk about some cool apps you can use everyday. First, as a Pace University student you have a resource called an E-Portfolio. An e-portfolio is a little showcase of yourself as you can write a little about yourself, post some great work you have done in your classes, and upload your resume as well. But have you ever wondered if you would be able to upload anything onto your E-Portfolio on the go? Pace users can now upload images and videos with their mobile devices with PortfolioUp. This free app allows users to take pictures/videos from their mobile device and upload it directly to the files section on ePortfolio. For more information on this app head over to our Pace University E-Portfolio Blog! Forget about annotating your textbooks and not being able to sell it, because there is an app right under all of our noses that will cure all of everyone’s problem, Adobe Reader! We all know what Adobe Reader can do, you can read any PDF files but what it never let you do was to actually treat what your reading like a real book. In the newest version you can highlight, underline, mark, leave a comment and you can even sign your own name on the file. And the best part of this, is that you are able to read it the same way on a computer so you have no worries on anything going missing if you want to read it on a computer. This is a great app for those wanting to read something like a textbook and that they want to keep track and want to highlight some important information. From experience this app has really helped me understand what I was reading and helped me study better for my finals. This app is recommended for teachers as well as they can highlight or note the things they may want to discuss in their classes! Lastly we talked about an app that can work like a PC called Onlive. Onlive is an app that allows you work like you were on a PC. You can work with a Microsoft Word, Excel or even Powerpoint document. When you create an account with Onlive you can save your files onto your account which you can get access anywhere with internet! Onlive is good for those who love the iPad but might want to get the PC feel again. Our next iPad meeting will be held Wednesday, November 28 12:20-1:20pm. All meetings will be held via video conference in Miller 16 in PLV and Civic E319 in NYC. We hope to see you there!